Mavis Spencer wrapped up the Showpark Festival Series with two grand prix victories in one week. 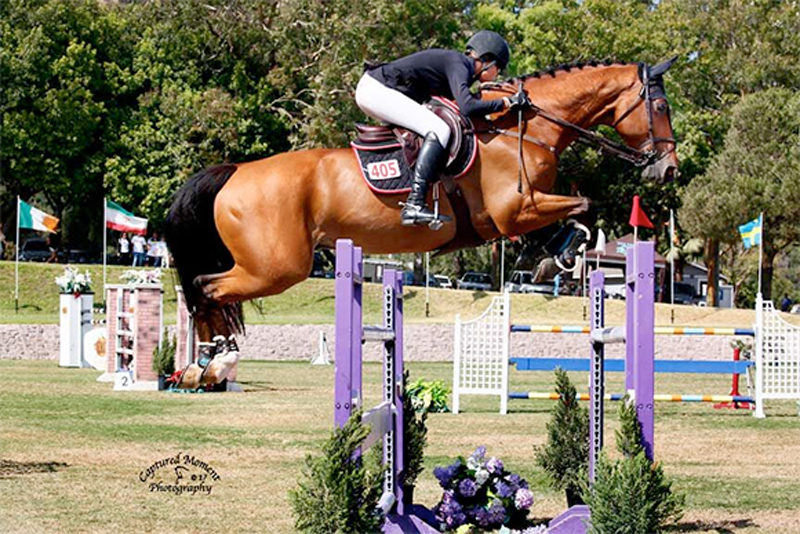 Coming off of a win in Friday’s $25,000 Markel Insurance Grand Prix, Spencer and Neil Jones Equestrian’s Chacco delivered the only clear round in Sunday’s $25,000 August Festival Grand Prix, designed by Mauricio Garcia of Puerto Rico. Want to read more about Mavis Spencer’s transition from grooming to grand prix winner? Read COTH’s “Mavis Spencer Has Gone From Grooming To Grand Prix” and check out Mavis’ blogs on COTH. Spencer and Chacco were the final duo to go, but second- and third-place finishers Tina Yates and Francie Nilforushan were prepared to jump off prior to her clear finish. Yates rode Highpoint Farm, LLC’s Campitello 5 to a four-fault finish, and Nilforushan rode Ali Nilforushan’s Adoro to the same score but finished just a few seconds behind Yates. 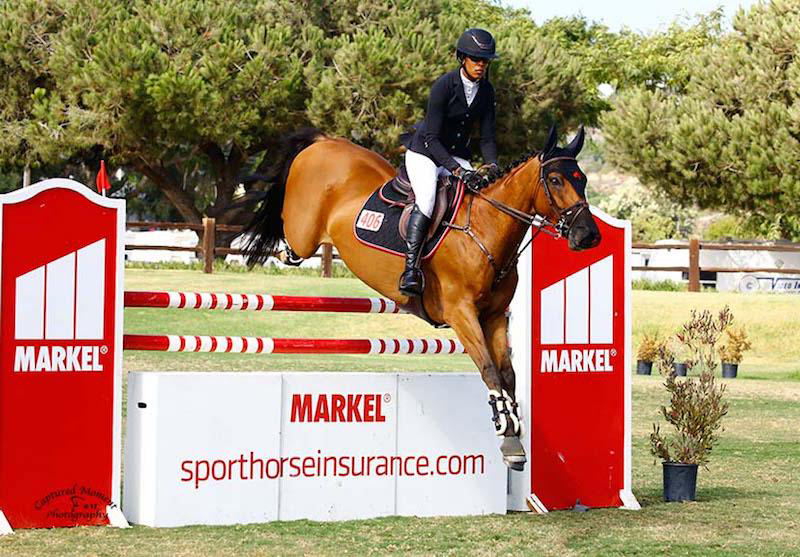 In the $25,000 Markel Insurance Grand Prix on Friday, Spencer was first to go clear, first to jump-off, and first to strike off in the victory gallop riding Neil Jones Equestrian, Inc.’s Clochard. She topped the field of 26 entries with an unbeatable jump-off time of 41.40 seconds. Her swift turns and bold gallops were nearly matched by second-place finisher Tina Yates, who jumped off on three horses but emerged second aboard Highpoint Farm, LLC’s Zelote VDL. They finished less than 0.4 seconds behind Spencer. Hillary Ridland delivered the only other double-clear trip, riding Carole Looke’s Cambria M Z and stopping the clock in 42.21 seconds. Eight horse and rider combinations successfully navigated the 1.40m track built by course designer Mauricio Ortega of Puerto Rico. In the jump-off, though, none could catch Spencer and Clochard. Although a new pairing, Spencer and the 9-year-old Kashmir van Schuttershof gelding have showcased their talents several times this season, earning top ribbons in 1.35-meter and 1.40-meter classics throughout the summer.